Portella Steel Doors and Windows touched down in New York City this past June for the AIA Conference on Architecture. A’18 was one of the most anticipated conferences of the year for architects, with experts and icons coming together from all over the world to discuss what’s new and trending in design and architecture. The Javits Center, one of the most innovatively designed buildings in the iconic city of Manhattan, housed the three-day conference. 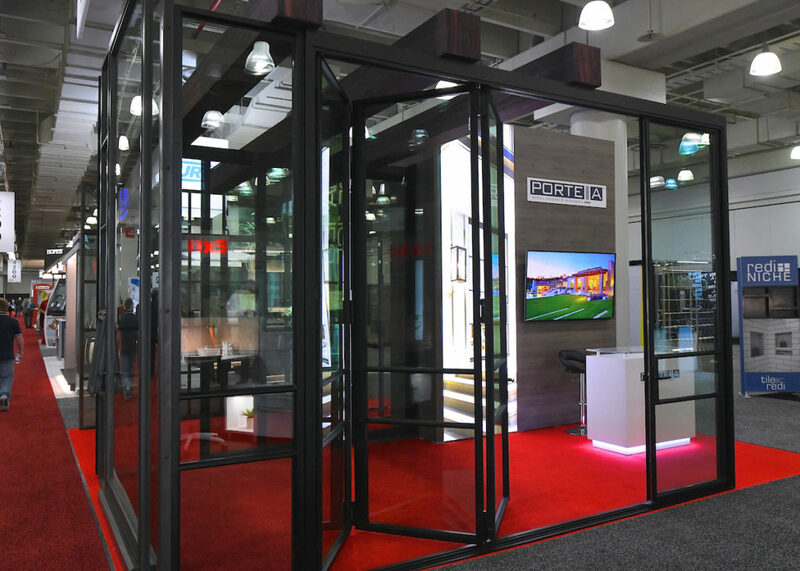 Portella was honored to join the conference this year and display our new Living Metal Finishes Contemporary Doors and new Smart Glass options at the Architecture Expo. With three full immersive days of nonstop leaning, networking, and touring the grounds, we curated a summary of our most memorable takeaways. The lineup of keynotes and sessions led by industry leaders was exceptionally impressive, with the inspiring Sir David Adjaye owning the spotlight at the Radio City Music Hall. Known for his frequent collaborations with contemporary artists on installations and exhibitions, Adjaye is recognized as a leading architect of his generation. In 2017 alone, he was knighted by Her Majesty the Queen for services to Architecture, and he was recognized as one of the 100 more influential people of the year by TIME magazine. AIA provides an opportunity to explore the city in which AIA Conference is held, with 200+ one-of-a-kind tours led by architects and architecture critics. We loved exploring New York with A’18. From monumental landmarks like the Lincoln Center to an architecture boat tour around Manhattan, AIA’s Educational Tour was flawlessly structured and informative. Portella joined 800 exhibitors in a 200,000 sq. ft. space to display the latest products and technologies in architecture. The Architecture Expo is a fantastic opportunity to capture the expertise of some of the industry’s best brands and browse the floor. Networking with all of the individuals who stopped by the Portella booth was one of the many highlights of the conference. Portella Steel Doors and Windows looks forward to a remarkable A’19 next year in Las Vegas. If you are interested in incorporating Portella Steel Doors and Windows into your home, please feel free to contact us!